Bainbridge psychologist Steve Curtis is a specialist in the treatment of children with emotional, behavioral, developmental, and learning difficulties. 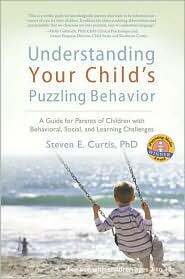 His award-winning book Understanding Your Child's Puzzling Behavior: A Guide for Parents of Children with Behavioral, Social, and Learning Challenges (2008) helps parents deal with a difficult child and assists in deciding whether the child's behavior requires intervention. Curtis believes that it is important to profile a child before settling on any kind of treatment. To that end the book provides practical advice on identifying and tracking problems. To find out more about Dr. Curtis or his book please go to http://www.lifespanpress.com/.